Which medication should a nurse apply topically in second- and third-degree burns to treat bacterial and yeast infections? Silver sulfadiazine is a topical anti-infective agent for prevention and treatment of wound sepsis in second- and third-degree burn clients. Gold sodium thiomalate is used to treat rheumatoid arthritis resistant to conventional therapy. Bismuth subsalicylate is an antidiarrheal medication. Arsenic trioxide is an antineoplastic. 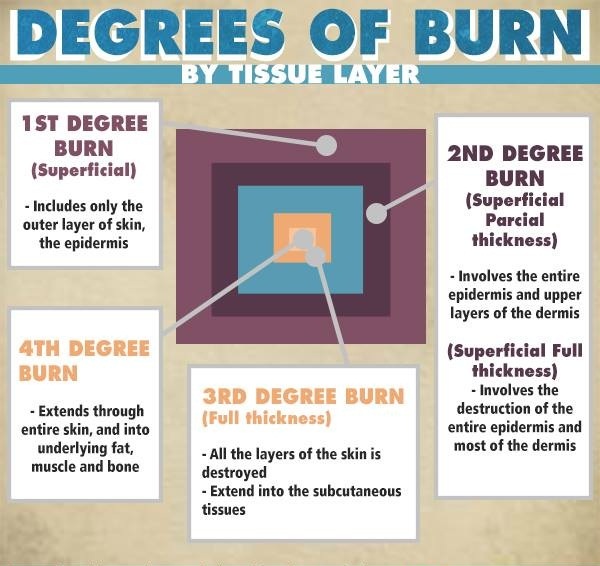 Large burns consist of 25% or more of the total body surface area. The response of the body to the injury is systemic. The burn affects all major systems of the body.